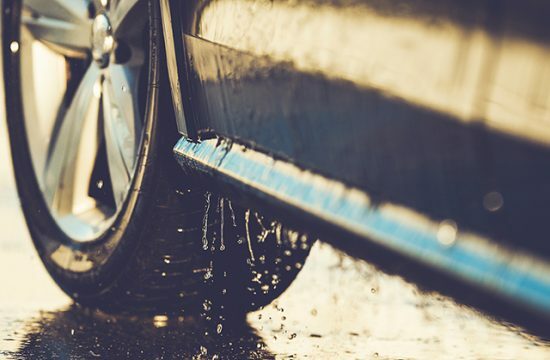 When washing your car it’s important that things are undertaken in the correct manner and right order, to prevent any potential damage from being inflicted, and to also ensure that all areas are thoroughly cleaned and that nothing is overlooked or missed. 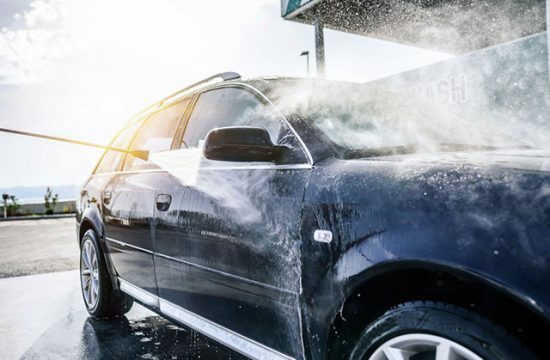 If you regularly wash your car yourself, you may already have your own routine that works for you and the needs of your vehicle and this is fine so long as the final outcome is satisfactory, and more importantly, that nothing is being jeopardized during the routine. The following information describes the best way to clean the inside of your car window with window cleaner from Waxit.com.au. It is very easy to slip into, and adopt bad habits without knowing it, that could be damaging your car in some way, or compromising the standard of results being achieved. It is worth reviewing your car washing routine once in a while to see if there is anything that you could change and improve, in order to enhance the experience by increasing efficiency, and to improve or refine the final outcome. To begin with, before going anywhere near your car, it makes sense to get all of the products and equipment you will need out and ready for use. Hosepipes and pressure washers should be connected to the water supply and be sufficiently unraveled to provide you with enough length to comfortably reach around your vehicle. Wash buckets should filled with shampoo and have grit guards inserted, wash implements/drying towels should be kept at close hand along with any other cleaners, such as wheel cleaners and all purpose cleaners, and any detailing brushes that may be required should be gathered together. These items can soon add up so it is advisable to obtain something that can be used to carry and hold them in a clean safe place while you are washing. There are many such items available, ranging from designated detailing bags and caddies that can fix to your buckets, to simple soft material tool bags that can easily be converted into a ‘detailing bag’. Finally, before washing, you should ensure that your car is in a suitable location. This may mean moving it off the road onto a driveway, up onto the sidewalk slightly to give a little extra working space roadside, if you do not have a driveway, or into a cool shaded area if the strong sun is out. The first stage of the car washing process should always be to clean the wheels and wheel arches/wells. 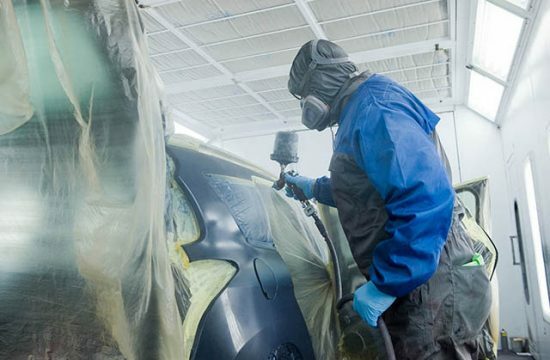 This is because they tend to be the dirtiest and most contaminated part of a car and often require some heavy products to clean them properly. If you do this after the body and paintwork has been washed you can easily re contaminate the clean surface with product over spray and grime. 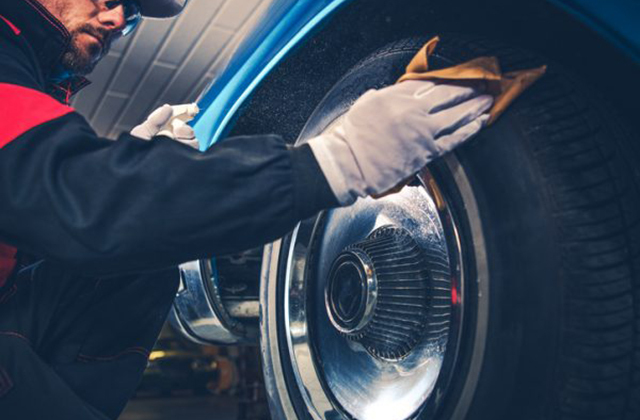 Also, the wheels can often take some time to clean thoroughly, especially if they are particularly dirty or have a detailed design, and so it makes sense to pay attention to these lower parts earlier on in the process. 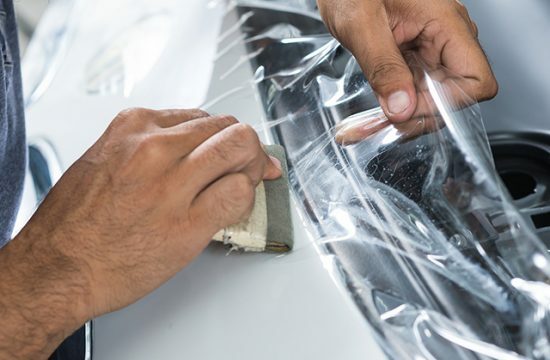 It is also advisable that you use a separate wash bucket and wash implements for the wheels and wheel arches/wells and that you do not use these items to clean any other parts of your car especially the paintwork as they can become heavily contaminated with dirt and grit that can easily inflict damage. 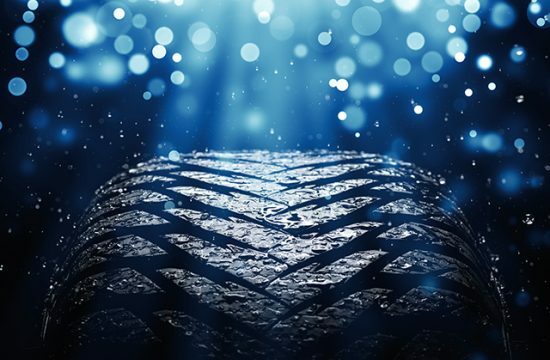 After the wheels and arches/wells have been sufficiently cleaned you can then go onto pre cleaning/rinsing the car with a suitable product such as a traffic film remover or a snow foam type product, in order to remove as much loose dirt and contaminants as possible prior to contact washing. Using a pump spray, or a hosepipe or pressure washer with a suitable attachment, you should generously soak at least the lower third of the vehicle, ideally the whole vehicle if possible, until the dirt visibly softens and begins to lift off the surface before thoroughly rinsing it off with a pressure washer or hosepipe. The pre cleaning products should be applied to a dry, yet cool car as they can cling to the surface better and pull the dirt and contaminants off more effectively than if they are applied to a wet surface. 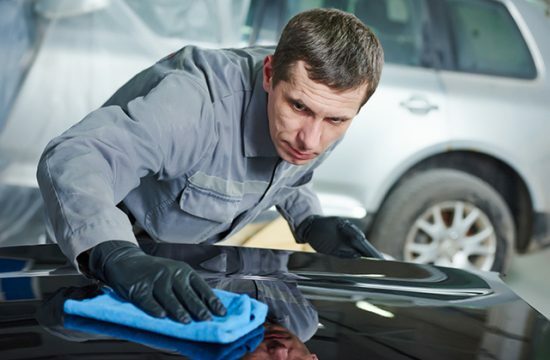 Once as much loose dirt and contaminants have been removed from the lower areas and the whole car has been given a thorough pre rinse you can then begin the actual contact washing. Using the two bucket method, you should begin at the top, cleaning a section at a time, and work downwards in a methodical manner. The roof, windows and pillars should be washed first before moving onto the hood and trunk. After these top facing areas have been washed you should move onto the sides of your car cleaning only the top half of the doors, wings and fenders. The font and rear top halves can then be washed before finally moving onto all the lower areas of the car. When washing the lower areas it is advisable to use a separate wash implement to prevent the one that is used on the top areas of the body from possibly getting contaminated with dirt and grit particles, and you should be vigilant that you only stick to the lower areas and do not stray to far up the body and over areas hat have already been washed. After all areas have been washed you can then thoroughly rinse off the car with a hosepipe or pressure washer. Again you should start at the top and methodically work your way downwards to the lower areas, including giving the wheels and arches/wells a final rinse off, ensuring all shampoo suds and residues are removed. It should be noted that if you are working in the heat, you should wash, then rinse a section at a time to prevent the car wash solution from drying to the surface causing unsightly streaking, then after the last panel has been completed the whole vehicle should be given a complete rinse off to ensure the car is wet before drying. After pre cleaning, washing and rinsing, you then need to properly dry your car with a high quality micro fiber towel instead of a chamois leather, to prevent any marring and swirl marks from being inflicted. 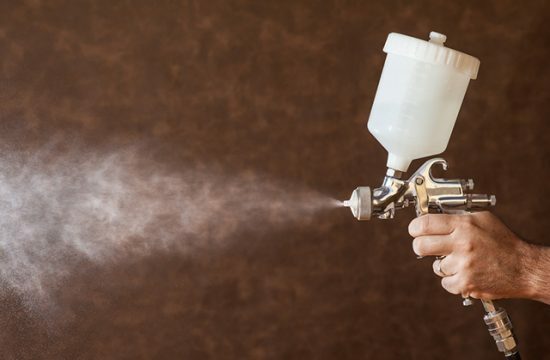 A drying aid/spray lube can be lightly applied to your drying towel and to the wet surface of the vehicle to help improve the finish and prevent water spotting if desired. 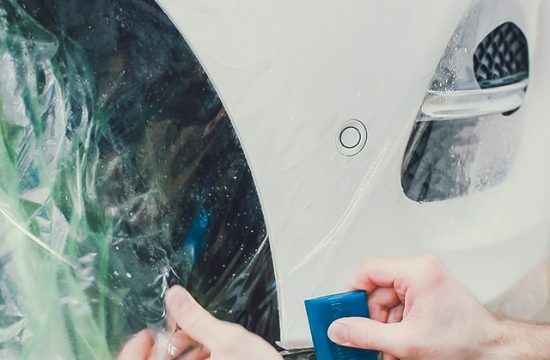 Again, as with the other parts of the car washing process, the drying should be undertaken from top to bottom, a section at a time working in a methodical and manner ensuring all sections are covered, drying only the lower parts of the car at the end. After all areas have been thoroughly dried the car washing process is complete and your vehicle is ready for further cleaning and detailing processes like polishing and protecting, or it can be simply left at that if it is just a regular maintenance wash. 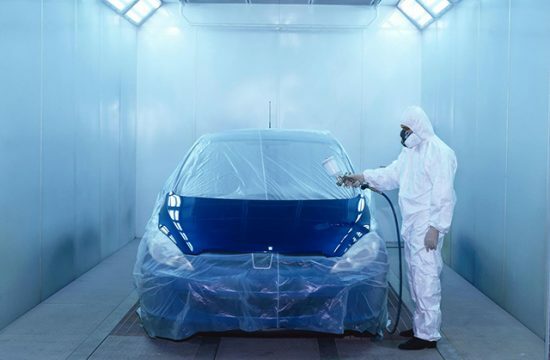 If you follow this complete process using the correct equipment and suitable products then you should be able to easily obtain great quality results in the most efficient manner, without inflicting any damage onto your car. The damage of your car window can be address if you get in touch with us. For More Car Detailing Articles and to Discover How to Clean Your Car to a Professional Standard Yourself, Visit Car Cleaning Guru Today.